Bridging the flavors and ingredients of the world, one dish at a time. During a trip to Hawaii, we stumbled upon a Macadamia nut farm on our way to the North Shore of Oahu. The farm had a store where you can sample and buy native Hawaiian macadamia nuts grown at that farm. It was kismet because I just love Macadamia nuts. This recipe is a way for me to use macadamia nuts in my everyday cooking. Fish breaded and sauteed in oil is good. Fish sauteed in a macadamia crust is better. For this recipe, I used orange roughy fillets and coated them with crunchy and buttery macadamia nuts and Japanese Panko bread crumbs. The orange roughy's mild and white flesh is perfect for this dish. Beat egg with milk in a shallow dish and then set aside. Combine Panko bread crumbs, macadamia nuts, salt, and pepper on another plate. Dip one fish fillet in the egg mixture and then dredge both sides of the fillet in the Panko and macadamia nut mix. Repeat the process with the other two fillets. Saute the fillets in hot oil until both sides of the fish have a lovely golden brown color. Garnish with green onions and serve with lime wedges. Please scroll down to the end of this blog for a list of our favorite Boston Area restaurants. Shrimp tempura and cucumber and avocado maki rolls. Served with Kecap Manis. Vanilla Bean and Gruyere Cassava "Cake"
Love. Cook. Eat. Reflect. Share. And repeat. This is where the ingredients of the world sometimes meet, mingle and marry. :) All the pictures were taken by my hubby or I. Original recipes were created and written by me(unless otherwise indicated). All Rights Reserved. Boston area dining destinations where we like to relax, eat and learn about great food. 33 Restaurant and Lounge -- a hip and fun place to eat, drink and be merry. Addis Red Sea -- Ethiopian Food at its perfection. Try anything with the word "wot" in it. It's made with rich and spicy berbere sauce. Aegean Restaurant -- great souvlakis and seafood. Opa! All Season's Table -- the restaurant that singlehandedly turned me on to sushi. Any popular burrito joint in Chelsea, East Boston and Somerville -- just follow the local crowd. Assagio -- a North End favorite. Aujourd'hui -- an amazing restaurant that helped create some great memories. Baraka cafe -- North African dishes bursting with flavor and spice. Their lemonade is exotic and refreshing. Ben and Jerry's -- I love all those funky flavor combinations. Cherry Garcia anyone? Bertucci's -- Savory pizzas and pastas. I love anything that comes out of their brick oven. Bistro 5 -- Italian food taken to the next level. Their Foie gras creme brulee is the bomb. Blue Room -- Great Sunday Brunch. Their eclectic dinner menu is awesome too. Border Cafe -- a Mexican restaurant we come back to again and again...for very special reasons. Brookline Family Restaurant -- Fantastic Coban Salad and Iskender Doner kebab at this reasonably priced Turkish restaurant in Brookline. Brown Sugar Cafe -- This Thai restaurant is a hike from where I live but I would gladly go there to sample some of their pad thai and authentic curry dishes. Cafe Belo -- One of our favorites for Brazilian food. The live bossa nova music here can make any woman feel like she is the garota de ipanema or the girl from ipanema. Cafe Fleuri -- top shelf and over the top Sunday Brunch and Chocolate buffet. Cafe Vittoria -- My favorite coffee shop in the North end. They have fantastic gelatos and cappuccino. Carol's Cafe in Everett -- very reasonably priced eggs, french toast and pancakes. Changsho -- a hip Chinese restaurant with a very good brunch. Charlie's kitchen -- a harvard square institution. Great burgers and sandwiches. Cheesecake Factory -- huge yummy portions of everything, including the cheesecakes. Chef Henri -- Best ceviche we ever had. China Pearl -- Best Dimsum in Chinatown, Boston. Chung Ki Wa -- delicious Kalbi Tang, bulgogi and a great assortment of kimchee. CLIO -- The tasting menu is great. The menu is innovative, creative, yummy and fun. Craigie on Main -- a pig fest, really. Dali -- happy little plates of Spain. A gastronomic wonderland of flavors. Lots of eye candy decor. Deluxe Town Dinner in Watertown -- huge selection of pancakes(including buckwheat and buttermilk) and very yummy omelets. Diva Indian Bistro -- a place with lots of eye candy. We like their Saturday and Sunday brunch. Dockside in Malden -- Don't let the Keno fool you. This place is a total dive but the food is pretty yummy. Don't skip the Peanut Butter Pie(unless you are allergic). Drink -- Over the top Drinks made off the cuff exactly as you like it. East Coast Grill -- Sophisticated and Gourmet BBQ. Really. East Ocean City -- King crab and lobster in savory Cantonese sauces. Elephant Walk -- Their Amok Royal with its khmer spice blend and coconut milk is exquisite. Emack and Bolio's -- Two words: purple cow! Exchange Street Bisto -- Like the food. Love the Martinis. Figs -- their figs and prociutto pizza rocks! Finale -- desserts that look too pretty to eat but we devour them anyway. Flour Bakery and Cafe -- heavenly pastries, brownies, cookies and who can forget their sticky buns. Galeria Umberto -- Very cheap and very yummy arancinis and calzones. A great find in the North End. Grand Chau Chow-- I used to go to this place when it was just "Chau Chow." Delicious authentic Chinese specialties like salt and pepper squid and shrimp. Habesha Restaurant -- Delicious Ethiopian food made to perfection. Helmand -- divine Afghan lamb dishes. Their vegetarian dishes are delicious too. Herell's -- with ice cream flavors like Mexican Chocolate and sweet cream, how can you go wrong? Their hot fudge sauce is the best I've ever had. Hi-Rise Bread Co. -- Try their lucsious Vanilla Bean Bread. There is nothing like it. Hong Kong Eatery -- Hearty and stick to your ribs Hong Kong style soups and roasted duck and pork ribs. Their wontons are loaded with shrimp. House of Tibet Kitchen -- Heavenly Momos and Tibetan Lentil Soup. Hungry i -- this romantic spot transports anyone to a bistro in Paris. Hungry mother -- The new southern belle in town. Delicious wagu steaks and catfish. The house specialty drinks are creative and innovative. Intrigue Cafe, Boston Harbor Hotel -- My favorite pick for high tea in Boston. The rose petals on the table and harbor views add to the great ambiance of this place. Jin's Asian Restaurant -- A Las Vegas style Chinese and Japanese Buffet right here in Saugus. JP Licks -- A fun ice cream parlor with great flavors. I really like their coconut almond chip and seasonal ice cream flavors. Kebab Corner -- a needed addtion to medford's growing restaurant city. The Indian food here is on point and delicious! Kelly's Roast Beef -- an institution here in Massachusetts. Bring on the meat! L' Espalier. The critics are right. This has the best food and service in Boston. They moved to a new location and we will follow them where ever they go! L.A Burdick Chocolate Shop and cafe -- Their decadent hot chocolate helps me get through our cold new england winters. Lala Rokh -- wonderful Persian food. I love their pomegranate braised duck. Le's -- They make very fresh goi cuon or summer rolls. Their authentic Vietnamese soups are awesome. Legal Seafoods -- their seafood dishes are simply prepared but everything is fresh, fresh, fresh. Machu Piccu -- Delicious Peruvian cuisine. Don't forget the pisco sour! Mandarin Chinese Restaurant -- all you can eat lobster, scallops and coconut ice cream on Sunday nights, need I say more? Maria's Pastry shop -- real Italian Tiramisu and delightful pistascio macaroons and torrones. Martsa on the Elm -- delicious Tibetan style meat and potatoes and eggplants too! Mary Chung -- A Central Square favorite. We like their dimsum and deep fried tofu with dun dun sauce. Middle East -- delicious homemade harissa that's good with just about anything. Miel -- Love the elegant decor and the authentic French provencial entrees. Mr. and Mrs. Bartley's -- best burgah in the area. Their shakes are oh so good. My husband's creations -- homemade wild Concord grape jelly, homemade wheat bread made from red wheat berries and the pasta sauce of my dreams. My mom's Filipino kitchen -- made from scratch halo-halo ingredients and out of this world sans rival, kare-kare and relleno manok! Oasis Brazilian Restaurant -- one word : Wow ! Ole Mexican Grill -- made to order table side guacamole, gourmet mexican food and an awesome sunday brunch. Oleana -- wonderful gourmet Turkish and Arabic inspired gourmet food. Olives -- fine wine and foie gras. Peach Farm -- Consistently yummy Chinese food in Chinatown. Peaches & Cream in Chelsea -- one of the best Tres Leches cake I ever had. Peacudy's -- where the croissants remind me of Paris. Penang -- a Malaysian restaurant featuring roti canai, beef rendang and mango chicken. Yum. PF Changs -- I'm usually a chinese food purist but their food is pretty good. Their fancy drinks are good too. Pho Hoa -- great selection of authentic Vietnamese specialties. A huge selection of pho. Pizzeria Regina -- an oldie but a goodie. Pizza Paradise in Boston. Porter Exchange Japanese/Korean Food Court -- try them all. wonderful sushi, Japanese soups, and pork katsu at reasonable prices. Potluck -- five bucks will buy you a lot of yummy food at this cafeteria style Chinatown eatery. 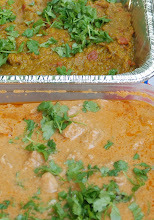 Rang Indian Restaurant -- Our go-to Indian Restaurant . We always leave happy. Rangoli -- Where else can you delicious coastal Indian dishes like Xacuti but here. Red Bones -- Perfectly cooked baby back ribs and hush puppies. Rialto -- beautifully executed new Italian/new Italian dishes. Royal Bengal restaurant -- very impressed with their vegetarian and seafood dishes and very good Bengali sweets. One of the best Indian restaurants I have been to. Rudy's Cafe -- a fun and lively tex-mex restaurant with a huge tequila selection. S&S Deli -- Great place for brunch. Try their waffles, pancakes and eggs benedict. Their bloody mary is pretty good too. Sake -- Authentic and melt in your mouth toro, hamachi and unagi sushi on Rt. 1. yum. Sal Y Braza -- Sal y braza or salt and fire is all that meat really needs. Savory and fabulous Brazilian specialties. Muito Bom. Salts -- divine Duck for two. Sibling Rivalry -- love the "Iron Chef" concept between two brothers. It's a tie. Sound bites -- hearty and delicious breakfast. The wait is long during the weekends so come early. Super 88 Food Court in Alston -- the variety of yummy Asian food is endless. The choices, the choices! T.W. Food -- An excellent food and wine matchmaker must work here because they have superb food and wine pairings. Taiwan cafe -- outstanding oyster pancakes and braised eggplant with basil. Tamarind Bay -- Best Indian restaurant in Boston by far! Tangierino -- excellent Chicken B'stila and Lamb mrouzia. Their food rocks the casbah. Tivoli -- delicious French-inspired menu. Top of the Hub -- I like this place for their unforgettable views of Boston and their great wine list. Toscaninis -- I scream for more of their ice cream. Tu Y Yo -- one of the most authentic Mexican restaurants outside of the Yucatan. Vej Naturals -- a small vegan restaurant with huge flavors. This omnivore loves it. Vinh Sun BBQ & Restaurant -- Tasty and very resonably priced rice plates, noodles and chinese style bbq. Perfect for lunch. I like the assorted chili condiments on the tables. Whole Foods Market on River Street, Cambridge -- high quality food. I love their huge salad/hot entree/bbq/sandwich/dessert bar. Xinh Xinh -- My top pick in Chinatown for best vietnamese beef broth. Yoki -- Our favorite go to place for fast, delcious sushi. Try the red sox. Go red sox!